My friend is in Brookdale Fountaingrove (formerly Emeritus at Santa Rosa). He told me that they always have activities going on and do exercises every morning. The people working there were all helpful and nice and seemed attentive to the residents. It's clean. They just seem available to help the residents with anything that they need. He likes the food there. A lot of the residents have pretty bad dementia, but they all seem pretty content with no one having any anxiety episodes. I've been in there multiple times and everybody seems calm and busy doing things. In the back area, the memory care area has a big communal table for different times during the day when they're not doing other activities. They can sit at that table together with the staff and do little projects, like coloring and reading to keep them occupied. I haven't seen anything that I didn't like. Brookdale Fountaingrove was better than other places. There was a really warm feeling and cozy atmosphere. When I went there, there were things going on in the living room. The community was warm and fuzzy and very busy. I wanted to be there, but there weren't any openings, and it cost a little more money than the other facility. The rooms and community seemed nice. I saw somebody providing music, and they were dancing. When you walk in, you’re right there in the dining area. The staff was good. I didn’t see the staff except for the person that was interviewing me and the lady at the desk. The best way to get to know a community is by scheduling a tour. See the facilities, meet the staff and residents, and get a feel first hand what it's like to live at Brookdale Fountaingrove Assisted Living. Brookdale Fountaingrove (formerly Emeritus at Santa Rosa) offers a homelike setting and cheerful smiles from our professional staff who greet you every day. Our caring staff offers the assistance you need while respecting your independence. Brookdale Fountaingrove is owned and operated by Brookdale, a company dedicated to providing retirement options for seniors since 1978. With vision, commitment and a keen sense of detail, we have become the nation's leading senior living community provider. Our peaceful setting, restaurant-style dining experience, activities and beautiful surroundings combine to create a wonderful living environment every day. Our genuine, caring staff, home-style meals and daily activities add to our residents' daily experience. 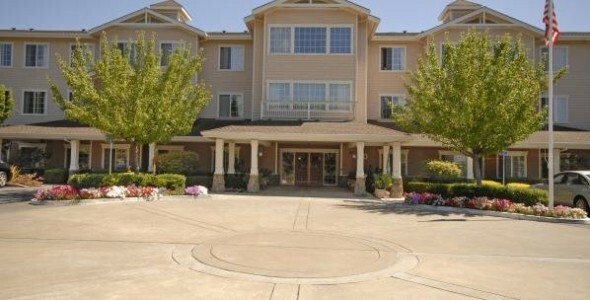 They will tell you they appreciate all the options while living at Brookdale Fountaingrove. The sense of community is all around you when you become part of our family at Brookdale Fountaingrove. Through special events, activities, clubs and ongoing cultural enrichment programs, we offer unlimited opportunities for you to get to know other residents and us. Call to set up an appointment for a tour because we delight in showing you our home.